My favorite tool for mixing paint. It has the solid edge of a pallet knife coupled with the flexibility of a brush. 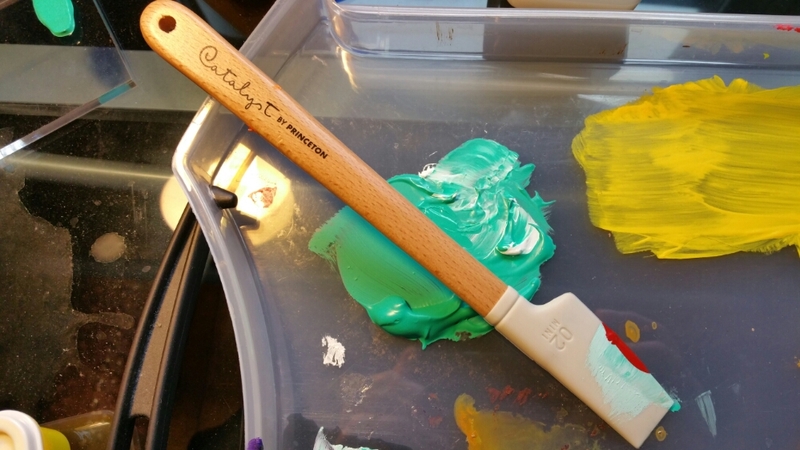 It feels like a baking spatula and mixes the paint thoroughly on the smooth pallet surface.